The Beauty Industry is having a 90’s Moment…and we’re not mad about it! They say history repeats itself, and that’s especially true when you take a look at beauty trends throughout the years. Here are a few trends from the ’90s that we wouldn’t mind getting reacquainted with this spring. 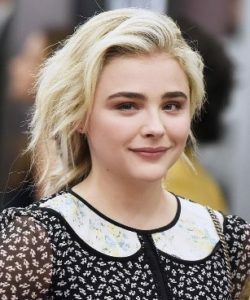 If you owned a choker and butterfly clips, then you will be happy to hear some of these staples from the ’90s are back again! An effortless look in the ‘90s did not involve beach waves! If you wanted an effortless look, you simply gave the front piece at your crown a little flip to the side. We’ll take this look back because “effortless beach waves” are not always so effortless! Whatever you want to call them – they are back and adorable! Bring out your inner Spice Girl with this playful style. Butterfly clips, glitter, and barrettes – hair jewelry in the ‘90s was no joke. With wedding season approaching, crystal hair pins are exactly what you need to compliment your updo! Looking back on photos in the 90’s, you can almost always spot someone wearing a burgundy lip. It was the perfect way to finish off their otherwise completely natural look. 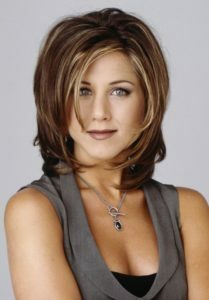 The “Rachel Cut” is not only for Jennifer Anniston. This low-maintenance cut gives you bounce, volume, and texture. Needless to say, the “Rachel Cut” will always…be there for you. 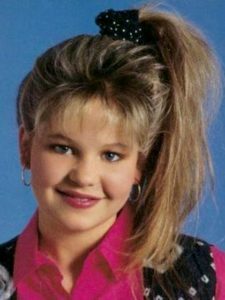 Half-up hairstyles were a staple on Full House, but this look isn’t only for D.J. Tanner. Perky, half-up ponies have made a serious comeback – especially in the world of celebrities. Pair this pony with a scrunchie for the ultimate throwback look.